A sailing and climbing expedition to the arctic island of Jan Mayen. For best viewing please use the "slideshow" feature (above, right). 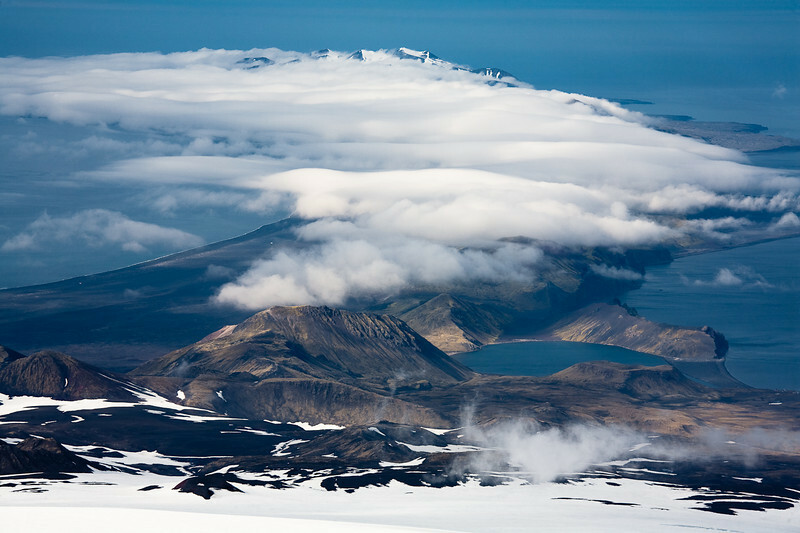 The southern half of the arctic island of Jan Mayen, seen from High Camp on Beerenberg.